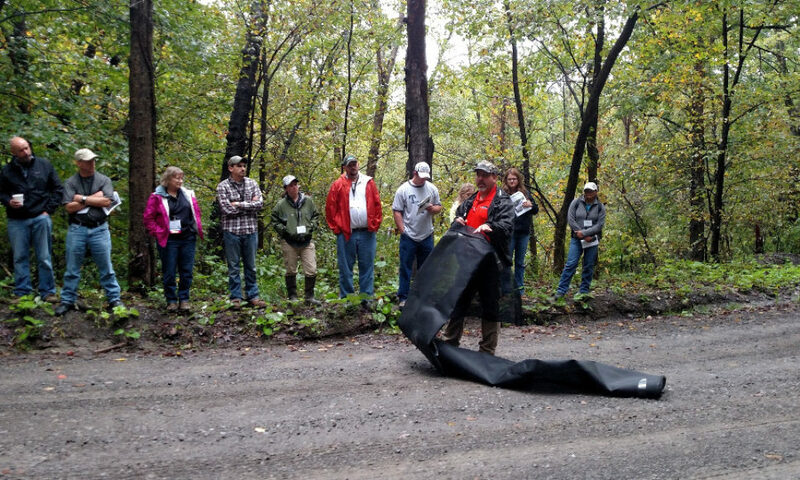 The Pike County Conservation District Board has created an Education Reimbursement Grant program for applicants who are eligible for the PA Dirt, Gravel and Low Volume (DG&LV) Road Program funds to attend trainings conducted by the Penn State Center for Dirt and Gravel Road Studies (Center). The trainings offered focus on environmentally sensitive maintenance practices to reduce sediment pollution and long term maintenance costs associated with rural roadways. The purpose of this grant opportunity is to provide supplemental funding to applicants to send their representatives to training sponsored by the Center. The District will reimburse Pike County eligible applicants for travel expenses for their representatives to attend an Environmentally Sensitive Maintenance (ESM) Training. Applicants who have previously attended an ESM training may qualify for reimbursement to attend an Annual Maintenance Training provided by the Center. An ESM training is scheduled to take place in Pike County on October 11-12, 2017. The course runs form 8 am to 4 pm for two days and includes lunch. The course is free to municipal, county, and state agencies involved with PA’s Dirt and Gravel Road Program. All out-of-state and private companies must pay a fee of $395. This course provides 1.3 Continuing Education Units from the PSU College of Engineering. For more information about the grant program or this training please contact Michele Long at the Pike County Conservation District at 570-226-8220, email mlong@pikepa.org or visit the District page on the Center’s website.